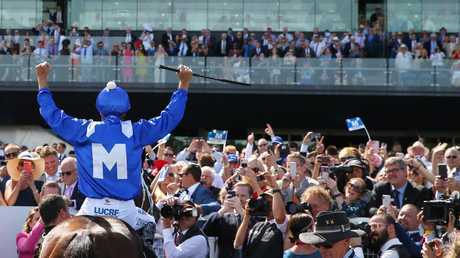 WHEN Winx contests the Chipping Norton Stakes at Royal Randwick on Saturday it will provide a rare opportunity to watch a world champion break a world record. Super mare Winx is chasing her 23rd Group 1 win, eclipsing the mark for most major race wins she currently shares with Irish hurdler Hurricane Fly. Winx's Group 1 record is already the most by any thoroughbred racing on the flat - and by a considerable margin. American champ John Henry is next with 16 wins, ahead of Black Caviar on 15. There are no Group 1 races for jumpers in Australia but they are prevalent in the northern hemisphere. Hurricane Fly won 22 majors over the jumps in Ireland and England. Winx, who was a joint winner with now-retired Cracksman of the 2018 Longines World's Best Racehorse, is also aiming for her 31st race win in succession in the $600,000 Chipping Norton Stakes (1600m), a weight-for-age race she has already won in 2016-17-18. Ladbrokes price assessors have opened betting on the Chipping Norton installing Winx at prohibitive odds of $1.10 favourite. This hasn't stopped one punter from having $106,000 at those odds to extend her famous winning streak. Winx is among seven Chipping Norton entries from trainer Chris Waller. He has also nominated Brimham Rocks, D'Argento, Egg Tart, Libran, Patrick Erin and Unforgotten. Entries for the Chipping Norton have been extended as the Australian Turf Club received only 10 so far for the big race. The others are the Pat Webster-trained Happy Clapper, Tavago from the Trent Busuttin-Natalie Young stable and Aloisia, prepared by Ciaron Maher and David Eustace. 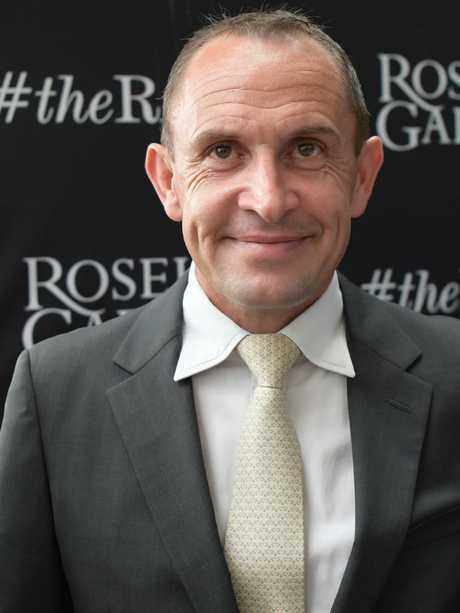 Waller said Winx had come through her first-up Apollo Stakes win in good order and will strip fitter for Saturday's race. 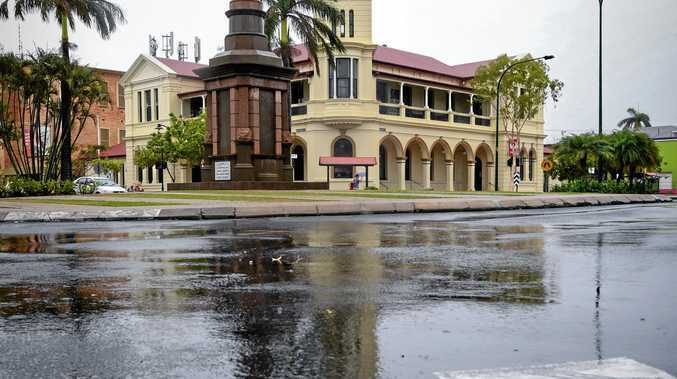 "I doubt she can be even better,'' Waller said. "She hasn't changed a lot. "She is just so dominant and unless something is there to test her we will see the same horse as last preparation." 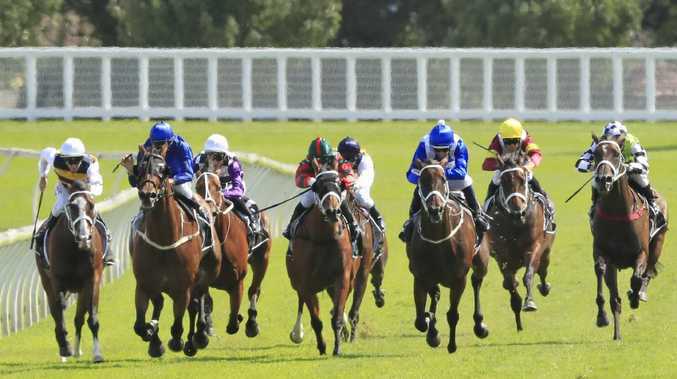 The Randwick meeting is supported by another Group 1, the $500,000 Surround Stakes (1400m) which features the likes of Fiesta, Nakeeta Jane, Pohutukawa, Fundamentalist, El Dorado Dreaming and Miss Fabulass. There are two vital Golden Slipper lead-ups - the Skyline Stakes and Sweet Embrace Stakes, both 1200m Group 2 events worth $200,000 each. The Skyline for colts and geldings looks the stronger race with unbeaten Inglis Millennium winner Castelvecchio and runner-up Accession clashing again alongside Dubious, Bivouac, Microphone, Rome and Sun Patch.